Proun is a very special game. Its unique abstract art style has attracted quite some attention, including from events and museums. The Van Abbe museum for contemporary art is currently displaying the game Proun as part of an El Lissitzky exhibition. The Van Abbe is one of the biggest modern art museums in the Netherlands and houses works by famous artists like Picasso, Kandinsky and Warhol. That Proun is being shown as a work of art amongst such great artists is absolutely thrilling, and a milestone to the whole “games as art” discussion. To many people, art is defined by what museums exhibit, and apparently this important museum considers this game to be real art, and shows it in a normal exhibition. Proun is also being shown at the La Gaîté Lyrique museum in Paris, where the French Minister of Culture Frédéric Mitterrand recently delayed his delegation during a visit, because he thought playing just one level of Proun was not enough. Of course, he was right. To celebrate all of this, a new trailer for Proun has been released, which shows the geometric landscapes that the player races through. The new trailer is called “Proun’s Abstract Landscapes”, and shows the game in beautiful slow-motion. Proun is a strange racing game in a world of geometric objects and large coloured surfaces. You avoid obstacles by rotating around a cable in order to gain as much speed as possible. There is no up or down; there is only the cable to which you are attached. 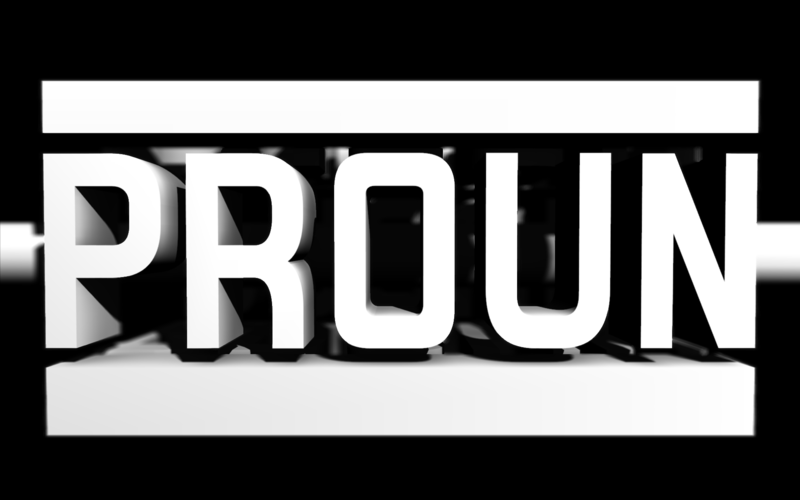 Proun will be released for PC in Spring 2011. Joost van Dongen is a Dutch indie game creator, who has been working on Proun in his spare time for almost six years now. In his daily life, Joost is lead programmer and co-founder of Ronimo Games, the game development studio that created the award winning side-scrolling strategy game Swords & Soldiers (PS3/Wii/PC/Mac/iPhone/iPad). When they were still students, Ronimo Games also created the original version of the colourful painting extravaganza De Blob, which was bought by THQ and recently saw a new sequel. Proun, however, is mainly a solo project that is developed by Joost in the weekends and evenings. This entry was posted on April 19, 2011 by Greenyz. It was filed under Press Release and was tagged with Indie, Joost van Dongen, Proun.